An adage says “when evil last long in the society it becomes a tradition” When nepotism, lies and heinous crimes become the lifestyle of a people, the younger generation sees it as their forefather’s culture and not acknowledging that it's never part of their culture, but a crime. If anyone tries to point them back to the truth, the person will be automatically labeled an enemy of the society, not knowing that such person has come to emancipate them from evil. The lie can never overcome truth no matter how good it sounds or looks. Evil cannot overcome good and darkness cannot overcome light. It does not matter how long evil stems in the land, light must surely shine. 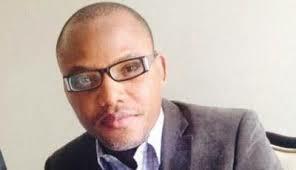 Before Nnamdi Kanu came to us, we were lost like sheep without a Shepherd; wallowing in mental slavery. We were like a king without a kingdom. We never knew our true identity like we know it today. Nnamdi Kanu came to salvage us from slavery and point us back to our origin. Nnamdi Kanu said “Nigeria is a fraud and created by a white man” is that a lie? He said “nothing connects me with Fulani, Hausa and Yoruba man” is that a lie? He pointed out that before the British came our name was Biafra, is that a lie? While all of us were beclouded with ignorance thinking that Biafra is an Igbo thing, he opened our eyes with facts and made us understand that people from Calabar, ijwa, isoko, Itsekiri, Urhobo, Iganke, Igala, Akwa Ibom, Ogoni etc. are all our brothers. We the Indigenous people of Biafra (IPOB) have not seen any atom of lie or shortcoming of any kind in our leader Nnamdi Kanu. He is the only true leader we have ever seen in the history of Biafra after the late people's General, Dim Chukwuemeka Odudumegwu Ojukwu. He is the Messiah who have come to emancipate us from this British created prison called Nigeria. I am clearly stating that if what Nnamdi Kanu told us is called a lie, we wish to be told such lies all the days of our lives because the human mind is the only part that tells us what is wrong and what is right. Nnamdi Kanu has shown us the way that leads to our land and we are determined than ever to follow that path to achieve Biafra and bring back our culture and heritage.